Richard D. Sisson, Jr. is the George F. Fuller Professor of Mechanical Engineering and Director of Manufacturing and Materials Engineering at WPI. He is also the principal investigator (PI) for several projects in WPI’s Center for Heat Treating Excellence. Professor Sisson has been with WPI for 40 years. In addition, he has taught at Virginia Polytechnic Institute and has been a research metallurgist with DuPont Savannah Laboratory and a staff engineer with Exxon Chemical Company. Professor Sisson received his BS in metallurgical engineering from Virginia Polytechnic Institute in 1969, MS in 1971. In 1975 he earned a PhD in materials science and Engineering from Purdue University. Professor Sisson's main research interest is the application of the fundamentals of diffusion kinetics, modeling, and thermodynamics to the solution of materials problems. He is currently working on modeling the surface-treating of steels and heat-treating aluminum alloys. He has also worked on the effects of deposition-process parameters on the microstructure and cyclic thermal stability of partially stabilized zirconia thermal barrier coatings, and the effects of sub-gamma prime solvus dwells and supersolvus heat up rates on the grain coarsening behavior of a variety of superalloys. His research has resulted in over 250 publications and another 250 technical presentations. In addition, Professor Sisson has been recognized by WPI for his excellent teaching and research with the inaugural Chairman’s Exemplary Faculty Prize 2007. 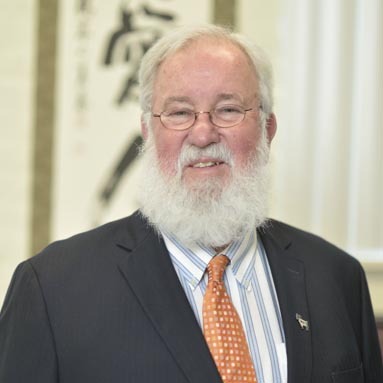 He has also been recognized with Virginia Tech College of Engineering Academy of Engineering Excellence 2006 and at WPI as the ME Outstanding Advisor, awarded Morgan Worcester Distinguished Instructorship for 2006. He was the WPI Trustees Award winner as Teacher of the Year in 1987 and the WPI Trustees Award for Outstanding Research and Creative Scholarship in 2016. He has advised 20 PhD students and more than 100 MS students and 10 postdoctoral fellows. Professor Sisson is a Fellow of ASM International, The International Federation for Heat treatment and Surface Engineering and the American Society for Ceramic Engineering.